The planning and design of residential township planning and any type of building including residential, commercial, Hospital, Colleges, Schools, Group housings, Industrial buildings ,road over bridges, Railway bridges are designed by experts architectures and structural engineers. We are well equipped with modern architectural and structural soft wares. The number of beautiful residential buildings, multi storey residential complexes, town hall, office buildings etc were planned and designed & commissioned. The conception to completion drawings of buildings make project easier to execute. 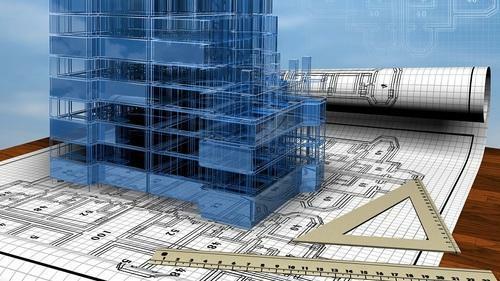 The team of experienced Engineers for supervision also available to construct the building as per drawing and design. We, “Professional Interiors”, are well appreciated enterprise established in the year 1977, at Mumbai, (Maharashtra, India). We are the most experienced and dependable organizations engaged in the market as prominent Manufacturer, Wholesaler, Trader and Supplier of Wooden Doors, Storage Cupboard Units, Aluminum and Glass Doors, Tables and Desks, Main Doors, Laminated Doors, Safety Doors, etc. The offered aluminum products are sleek in design, strong in build and look very sophisticated. Adding to this, our professionals manufacture these products with the use of quality high basic materials and modern techniques. They are most skilled and hard working in this domain from ages. They are use world class array of aluminum and latest technology to manufacture this array. The entire array is manufactured keeping in mind the current market developments and expectation of our customers. They are available in many speculations and standards to keep our customers satisfied. Smooth finish, sturdy design, quality assurance, nominal rates, durability and beautiful looks are the few of the many reasons that makes the offered array most demanded and loved. F249,Dreams The Mall,near Railway Station.